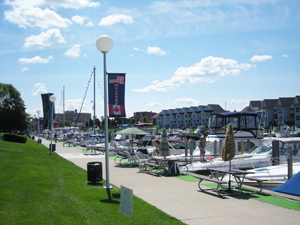 River Street Marina is nestled on the banks of the Black River, with 140 slips in the heart of downtown Port Huron. Some of Port Huron’s finest entertainment, retail shopping and dining establishments within waling distance from your vessel. Come relax at one of our local spa’s or let Port Huron and River Street Marina's shuttle service take you to a challenging nearby golf course.